It’s often only when we want to make deliberate changes in our lives, that we begin to understand the true impact of limiting beliefs on our life experience. And while it’s logically quite obvious that what you believe will have some effect on what happens to you, this fact frequently manages to fly under the radar. When we make changes, we’re often so focussed on the doing part, that we don’t pay much attention to the subconscious programs that determine how we think and ultimately feel about what’s happening. And yet it’s our beliefs that drive our perspective, our thoughts, our feelings and what we end up doing and experiencing in our lives. They can also drive behaviour patterns that sabotage our best intentions and ultimately determine whether we succeed at making deliberate changes or not. Let me explain this more clearly by telling you about a belief that has driven my behaviour for a large part of my life. It’s also one of the more unhelpful and damaging beliefs I could continue to hold right now. When I was around fourteen years old, like many girls of my age, my waking world revolved around horses. They were my grand passion – I read horsey books, I had horsey figurines and dolls, my bedroom walls were covered in posters of horses, I watched horsey movies and dreamt of a future filled with my four-legged friends – riding, competing and working with horses. 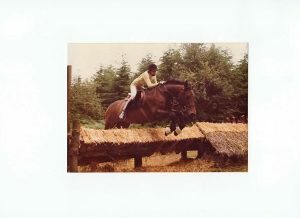 Since I had been riding since about the age of six and was lucky enough to have my own horse at the time, all this seemed pretty natural from my youthful and innocent standpoint. Honestly, I just couldn’t see a future without horses. It all made sense and it’s fair to say that I had little idea of the conflict my particular passion would cause in our family and the associated limiting belief I would then take on for a lifetime. When the time came for me to select subjects at school in preparation for future qualifications, the discussion at home turned to what I planned to do after school. It was good to talk about what I was drawn to and I eagerly shared my dreams and plans. Once exams were done I wanted to leave school and start working directly with horses. In my mind this meant starting as a working pupil at a riding school, learning to teach and then hopefully getting some riding and teaching qualifications in a few years’ time. It all seemed obvious and perfect to me but I had no idea just how much my parents would disagree. In their minds, horses were a hobby, not a route to financial stability. They could not see a stable future for me in the horse world, one where I would be able to be independent and support myself financially. Both my parents were teachers and so in their world, school was followed by university to get a degree and hopefully a good job, not into a poorly paid apprenticeship at a local riding school. The resulting clash of desires shocked me to the core, most especially because I had imagined that what I wanted for my life mattered the most. It felt very debilitating at the time and I was ill equipped to deal with this major difference of opinion. When I tried to discuss what I really wanted and how it might be possible, I was told I would get little family support if I took that path. My parents made it clear that the only acceptable choice was to go to university and that I needed to choose school subjects that would line up with that choice. I felt deeply unhappy. I also felt completely squashed. Eventually the tense atmosphere at home combined with the prospect of losing my family’s support were too much for me and I gave in, choosing suitable school subjects that would take me through my various school examinations and into a Bachelor of Science degree at a good university. With the benefit of hindsight, I can see that my parents were simply trying to do the right thing for me from their perspective. They wanted me to be able to care for myself and make enough money to chart my way in life, once they were not around to help. From their life experience and the perspective of their generation, they genuinely believed that getting a degree would give me a head start and provide me with opportunities that I could not comprehend at the time. They firmly believed that none of this would be possible if I chose to move straight into working with horses. They were right in some ways. Had I not accepted the path they wanted for me all those years ago, I may well not have acquired the skills I have now, travelled as much or benefitted from the wealth and abundance I was then able to generate. I might not have been in the position I am in now to make consciously different choices about my life. So I do fully recognise and appreciate their guidance in many ways. On the other hand, perhaps all those things would also have been possible from a start working with horses. Perhaps, with a different perspective – one that acknowledged the drive and energy and creativity that following a passion brings to the table – all those things would eventually have been possible for me. Unfortunately, that kind of a perspective would have required my parents to hold a quite different belief to the one they held at the time. 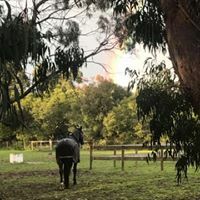 And so at the age of fourteen I took on an enduring and especially limiting belief that goes something like this – “Working with horses will never support me financially. I can’t get a good well-paying job working with horses. My love of horses has to remain a hobby only”. I took on this belief and have continued to believe it despite plenty of evidence to the contrary both in my local horse industry and internationally. It has stopped me from exploring working more closely with horses for many, many years – too many. It has held me back and continues to eat away at the foundations of my new pathway. And this is precisely how limiting beliefs control our lives – they sit in our subconscious minds and operate on autopilot, under the surface, controlling our thoughts, feelings and behaviours on a daily basis. Because they are subconscious, they can remain largely in the dark and unchallenged through much of our lives. They are the programs that operate without our deliberate thought and unless they are replaced with healthier, more life-affirming beliefs, will continue to shrink our experience of life for as long as we maintain them. Our limiting beliefs can arise from many sources but we acquire a number of them in our childhood and adolescence from family, friends and those close to us and the remainder from the fruits of our own experience. They are more powerful than a thought because we have, in some way, repeatedly accepted them to be true. They have become a guideline we live by and rarely challenge, even when they aren’t borne out to be true when shown the light of day. Becoming aware of those beliefs which are not helping us would seem to be the first part of the process of changing them. But once we are aware of an unhelpful belief, how do we change it for something more life-affirming? Is it even possible and how will you know you’ve succeeded? At this point in my life, I’m choosing to replace my limiting beliefs. Since there are quite a few that I’ve acquired over the years, this could be something of a process! But I’ll start with the one I used as an example – my limiting belief about working with horses. Now that I’m aware that it continues to sabotage my thinking and commitment, I need to find a new, more life-affirming belief to replace it. What’s more, I need to find a way to believe my new belief more than the old one, even when it seems as if the evidence hasn’t fully shown up in my personal experience just yet. In his 2008 book The Spontaneous Healing of Belief: Shattering the Paradigm of False Limits, Gregg Braden writes “We tend to experience in life what we identify with in our beliefs”. He also suggests that to create change and new experiences in our lives we need to start living with the outcome in mind “The prime rule of reality is that we must become in our lives what we choose to experience in the world”. It’s clear then, that before I create my new belief, I need to focus on the outcome I’m looking for from my new belief – what do I want to think, feel and experience as a result of my new belief operating daily and consistently, firstly in my conscious, and then in my subconscious mind? Well, I’d like to feel optimistic when I think about my work with horses. I’d like to feel excited at the potential to learn with and from horses. I also want to feel a daily sense of anticipation and enjoyment about the learning I can offer to others by working with horses as my partners. I want to feel that my life can be perfectly financially abundant working with horses and that there are no limits to the opportunity for this to manifest. I want to feel all these things but in the wanting of them, it does suggest a lack – that I don’t yet feel them to be true. In order for this to be more than just aspirational, I’m going to have to find a way to frame my new belief which suggests I am living with the outcome in mind but which also feels believable. After some moments, I pick up a blue felt tip pen and write “Horses bring emotional, spiritual and financial abundance into my life”. I then circle the whole phrase in red and cut it out. I immediately pin it to my cork board where I can see it daily when I use my laptop. For me, this newly-phrased belief is general enough that I can both remember it and start the process of feeling it to be true. Now that I can see it, the work of transforming the written statement into a real belief begins. So how do I make this happen? In the past, when I have created goals or plans, I have always chosen to make them visible. I usually write them down and pin them up where I can see them and it’s been amazing to witness how much impact this simple act has then had on the realisation of those goals. When I review my progress some months after pinning up the goals or activities, it’s common for me to find that the majority of items have been completed without much conscious attention on my part. There seems to be something about the process of committing them to paper and making them visible that helps me retain a focus without much effort. If a belief is “only a thought that you keep thinking” (Abraham Hicks, The Vortex) then I need plenty of opportunities to keep thinking about my new belief and this is one of the best ways I know. However, I do need this thought to be more than just an affirmation created in the hope that things might change. An affirmation is not a belief. A belief is something I feel, in my heart, to be true and which will guide my thoughts, feelings and actions both consciously and sub-consciously. If I am constantly looking at my new belief statement and not really believing it’s true, then the statement remains aspirational and won’t change anything. To feel that it’s true, I’m going to have to look for some evidence to support it. And this is why I’ve created a new belief statement that’s meets two key criteria – 1) it’s general enough for me to be able to easily find something to support it and 2) it feels good when I think about it. If I’m serious about making this change, I’m going to have to find something, however small, in support of my new belief on a regular basis. For me, there’s no point creating a new belief which constantly feels out of reach because it will ultimately change nothing. So here I am, embarking on the process of creating of a new belief to replace my old, limiting view of this aspect of my life. How will I know if it’s worked? Gregg Braden comments that “We tend to experience in life what we identify with in our beliefs”. Applying simple logic, if am successful at changing my belief to something more life-affirming, and I allow myself to feel good about that belief regularly, then the evidence should start turning up in my reality – emotional, spiritual and financial abundance through my horses should become my predominant life experience. And now that I am aware of my previous limiting belief and fully conscious of the new belief I have created, I will more easily be able to catch myself thinking any thoughts that might not line up with my new belief before they chronically undermine what I’ve set out to do. When it’s time to practice my new belief in action, I need only look to my herd of horses for help. Walking out into the paddock one Spring morning, I stop and decide just to hang out with them all for a while. It’s nice to be around them without any expectation. The first to come and say hello is Chex, the newest member of the herd and a such a friendly soul. He quickly puts his nose to my ear, breathes out, moves onto lick my face and then begins to nibble my hair. This quiet inspection continues for a while until he playfully grabs the hood of my coats and pulls it up smartly. Laughing I wave him away and wander over to check in with Ed. Ed spends a good five minutes yawning until I catch the yawning bug and join in. When we’re done, he softly chews my sleeve, holds my hand between his lips and generally plays with my hands and clothes. I’m rather touched by his careful attention and stand with him serenely until he’s had enough and moves off for a sleep. All this time Walker has been watching us out of the corner of his eye while supervising Chex. He has less desire for me to make a fuss of him this morning and so I scratch the underside of his neck. Once he’s had enough, he licks my hand a couple of time, rubs his itchy face against my jacket and wanders off to move George away from the water trough. As George moves off for a few steps, I notice that he still has something of a sore foot for which he is receiving treatment, and so I go to sympathise. He seems to appreciate the gesture and nickers at me softly. I scratch his nose and wait for him to check my face out in return. George is very tactile and loves to puts his nose close to my face and into my hair, chew my sleeves and receive the occasional kiss on the nose in return. It’s so peaceful to just relax with them all and enjoy the moment. I feel content, relaxed and able to be myself. And it’s a perfect way to start to feel good and grateful for many things I enjoy in my life. I remind myself of my new “horses bring abundance” belief and find that there is little effort needed to find supporting evidence this morning – it’s right here around me. This is how I start to feel myself into my new belief – I allow it to be experienced in my body so that it can lodge itself in my heart and eventually inform my thoughts and actions without so much conscious effort. I’m not sure how long this will take but I know that the more I feel my new belief to be true by looking for examples in my life, the quicker my life will present me with experiences that validate my new belief. Changing a limiting belief for something more life affirming may be one of the most challenging tasks we can take on, since that limiting belief has often been running in our subconscious with little supervision for a long time. Looking at our lives and at the quality of our life experiences gives us many clues to the types of beliefs we may have adopted and some idea of which need the most urgent change. Looking at the things we find difficult or avoid also provides us with other clues. Leaving a limiting belief to continue its negative influence on your thoughts, feelings and actions will almost certainly hamper your chances of making successful changes; becoming aware of and addressing them may be one of the most important steps on the pathway of successful deliberate change.